In many ways, the pleasure of drinking wine comes from its simplicity. There is no sensual experience quite like rejoicing with fine wine. It is this attribute that makes premium wine a precious commodity – turning every meal into an occasion and making every day more pleasant. What does drinking intelligently mean to us? To drink intelligently is to appreciate quality rather than to indulge in quantity. It is to learn that tasting a little and enjoying the experience brings more satisfaction than any excess. Drinking intelligently means sharing wine with family and friends. It means to celebrate times of jubilation rather than to supplement moments of anger or misfortune. And, as with all things special, it is enjoyed in moderation. In many respects, this reflects how we should approach our lives more broadly. Gratification and fulfillment will come in puddles, not in lakes, and we are always searching for balance and happiness. Thus, as we learn to appreciate wine – to become intelligent drinkers – we will develop habits that enrich our lives. We believe firmly that quality should be our only concern and that drinking wine should be a memorable and joyous experience. We don’t see a world of rampant wine consumerism as necessary, healthy or sustainable. Instead, we view our customers as discerning individuals with a taste for quality. We believe that you appreciate drinking fine wine and that together we share this view. ♣ Serve a small amount into your glass – appreciate the colour and explore the aroma. 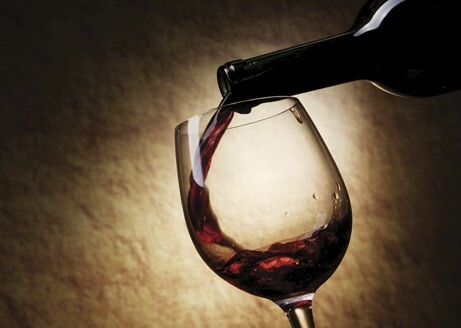 ♣ Have a small sip – allow the wine to fill your mouth and arouse your senses. ♣ Identify the flavour, structure and profile of the wine – observing how the wine evolves from the front palate through to the finish. ♣ Allow your glass to rest on the table – this is an act that highlights the pleasure, extends the experience and allows us to avoid excess. ♣ Don’t open more bottles than is necessary – this will help you drink moderately and look after the hip-pocket. And remember…a glass of wine does well, but too many more and all the joy is gone! Curious mind? If you’re interested in some further reading, see these articles by Madeline Puckette: Good wine and healthy living & Learning how to taste and develop your palate. This entry was posted in News and tagged drinking intelligently, fine wine, healthy living, quality wine, st ignatius, wine in moderation. Bookmark the permalink.